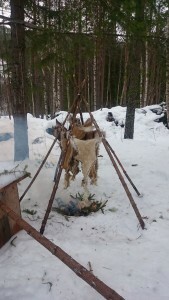 Leg and head skins of moose and reindeer are excellent for clothing that will receive a lot of hard wear. Examples are winter shoes, mittens and leggings. In preparation for the smoking, the skins are stitched fur side to fur side with a wide stitch. If you want to protect the edges from discolouration, you need to stitch in a piece of skin, paper or birch bark to cover the furry edge. 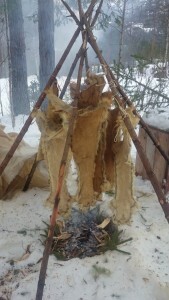 The skins are then hung in a small tipi with a canvas or skin covering it. 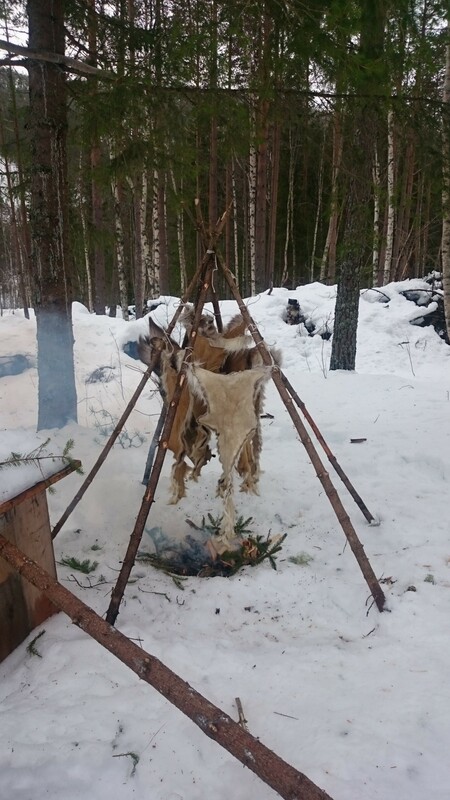 The fire should already have burnt down to coals inside the tipi before hanging the skins. Alternatively you can bring in hot embers from the outside and put them on dry ground. 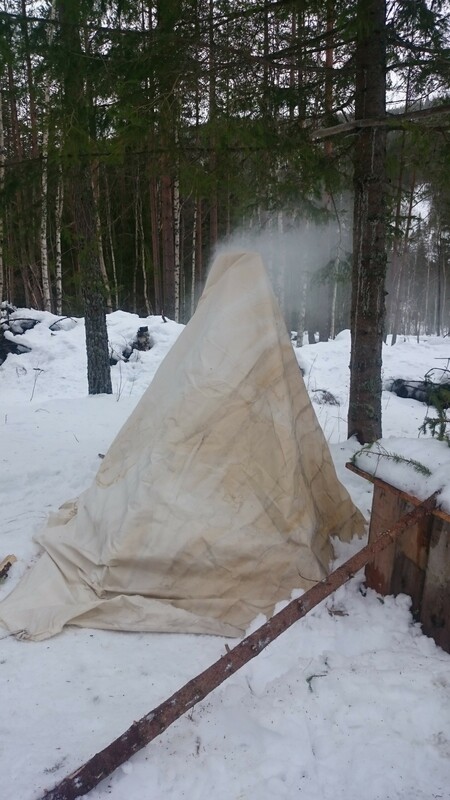 Punk wood is sprinkled over the coals for producing smoke and reducing the temperature. Throughout the process, you have to add more rotten matter to smother any emerging flames or overly hot spots. I monitor the situation with maximum 15 minutes intervals, in the beginning much less. These skins were smoked for 1,5 hours, but you can smoke them for as short or long time as you want. you write. The world hopes for more passionate writers such as you who are not afraid to mention how they believe.